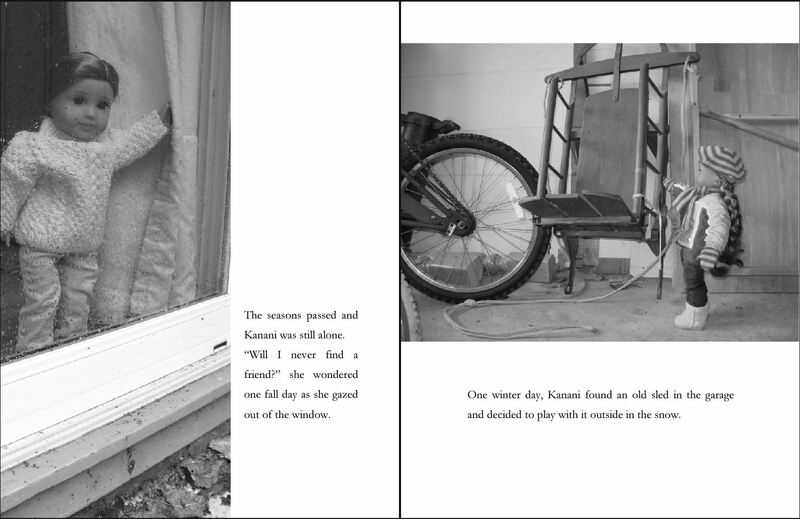 Fiona and I have lately been working our way through all the “Lonely Doll” books by Dare Wright. Unfortunately, many of them are no longer in print. But between the wonderful library loaning system and one ebay purchase, we have been able to read most of them. After reading Wright’s books Fiona and I got excited about making our own books. 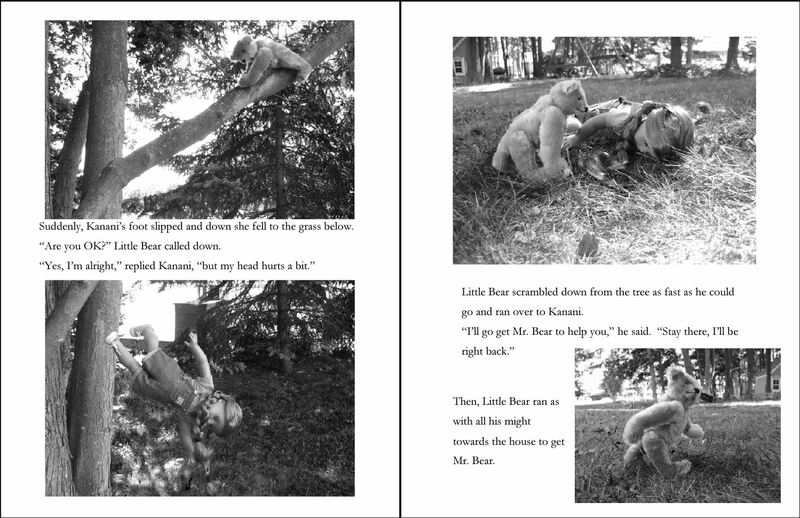 When Fiona was about 2 years old I started writing and self publishing books about her stuffed cat, Mr. Bunglie, through a website called lulu.com. this site is fabulous! You simply write (and illustrate) your own books in a Word document, save it as a pdf, and ftp it to their site (you can skip the pdf-ing and ftp-ing, if you prefer, and upload your Word document directly to lulu, but it takes FOREVER-especially if your document is image heavy, as mine are- and sometimes your formatting gets messed up.) You can choose hardbound or paper back covers, dust jackets, full color or b&w printing, and a variety of book shapes. They have cover designing software on their site or you can make your own cover in Photoshop or what ever your preferred program is. So with this knowledge already perfected (for the most part) we decided to embark on our newest project. 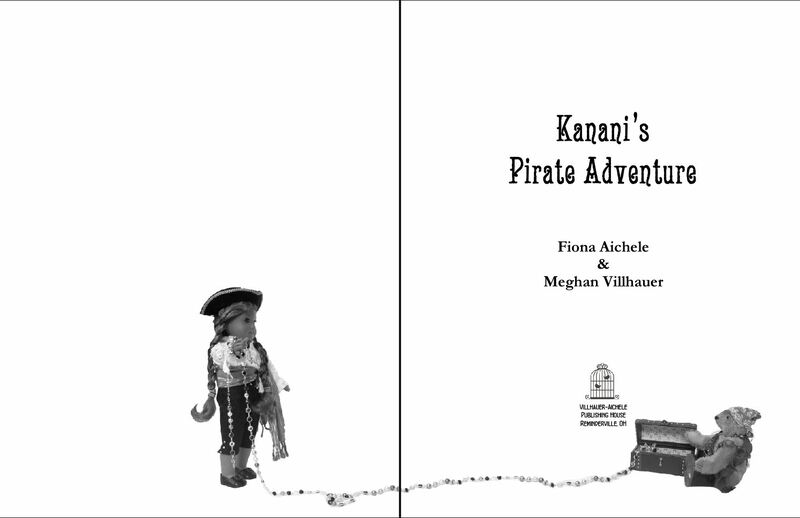 Fiona wanted our book to be about her American Girl doll Kanani meeting two bears, just as Edith in the original stories did. 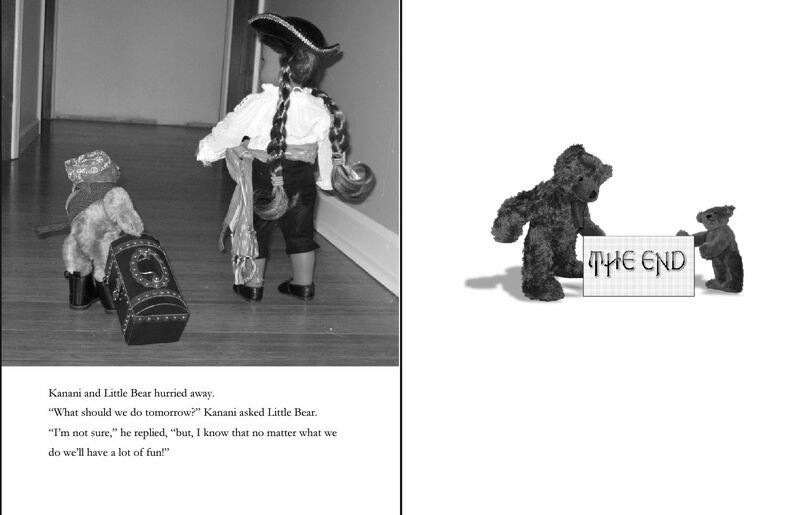 Our first book is called Edith the Doll Meets the Bears. 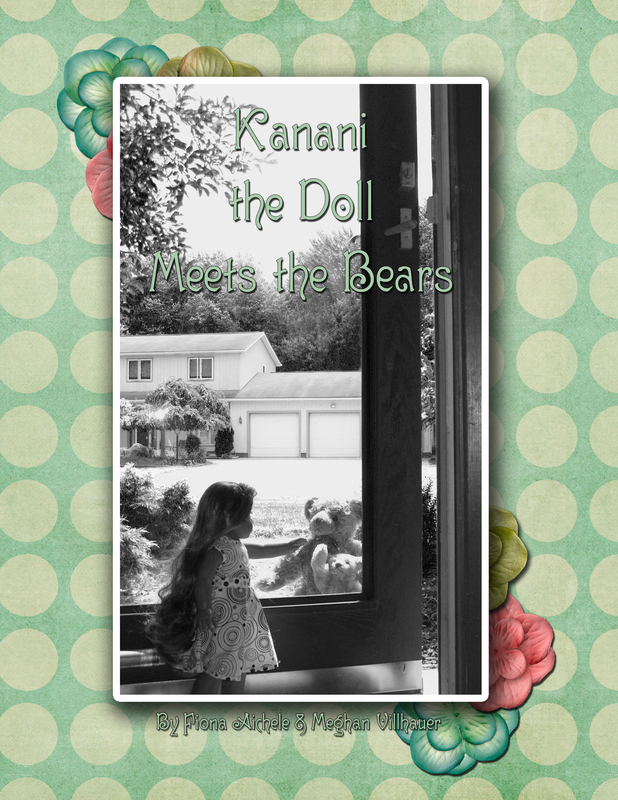 We decided what Kanani should do and what kinds of places she should go with her new bear friends and set about taking our pictures. 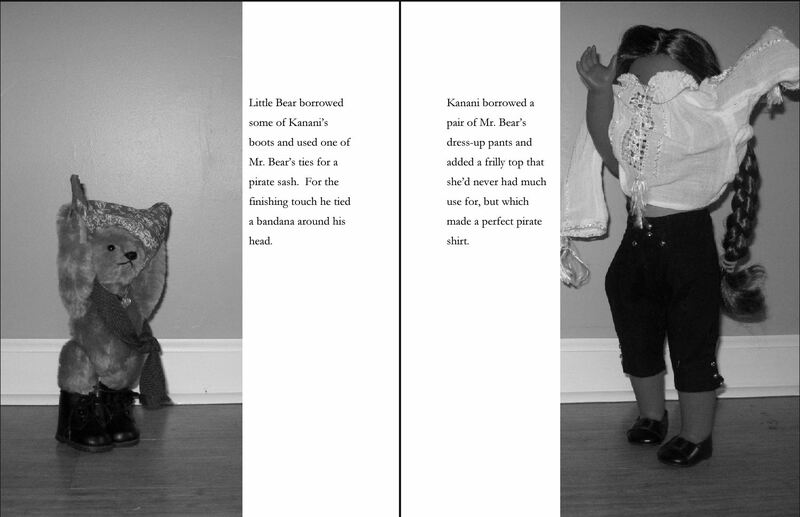 Fiona and I each took many of the pictures for our book. I wrote the words based on the ideas we had discussed and Fiona had a lot of input as to what kinds of things the characters should say. 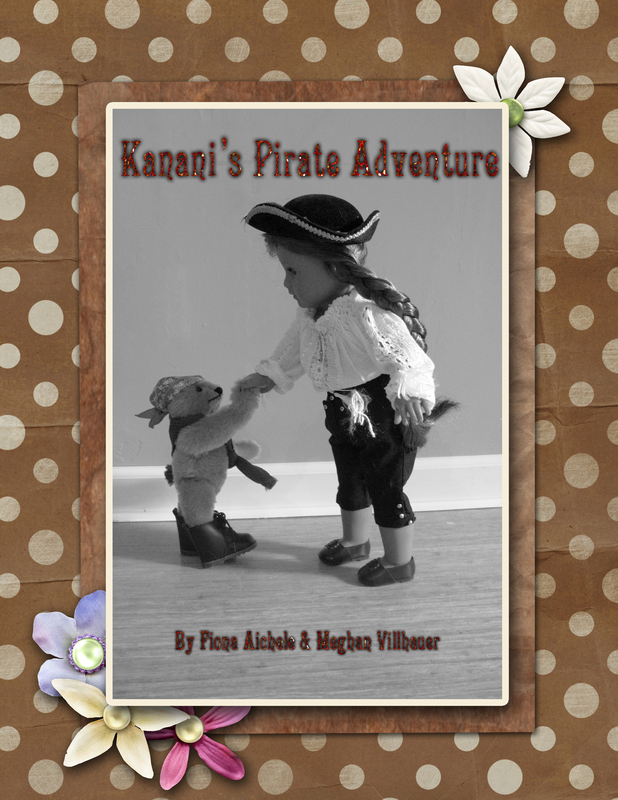 Our second book is about Kanani and Little Bear playing pirate and is called Kanani’s Pirate Adventure. This one is my favorite-I really had a lot of fun with it. 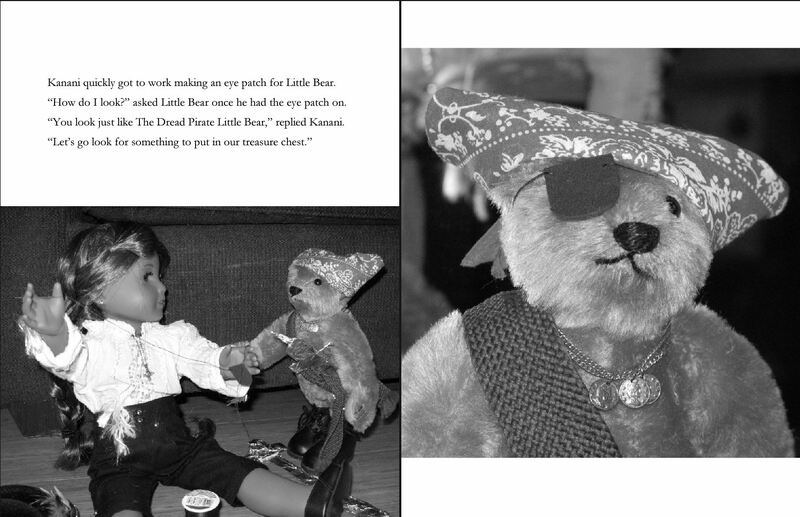 They find clothing to create pirate fashions, make a pirate flag, map, and swords, then ask Mr. Bear to hide a treasure chest for them to find. 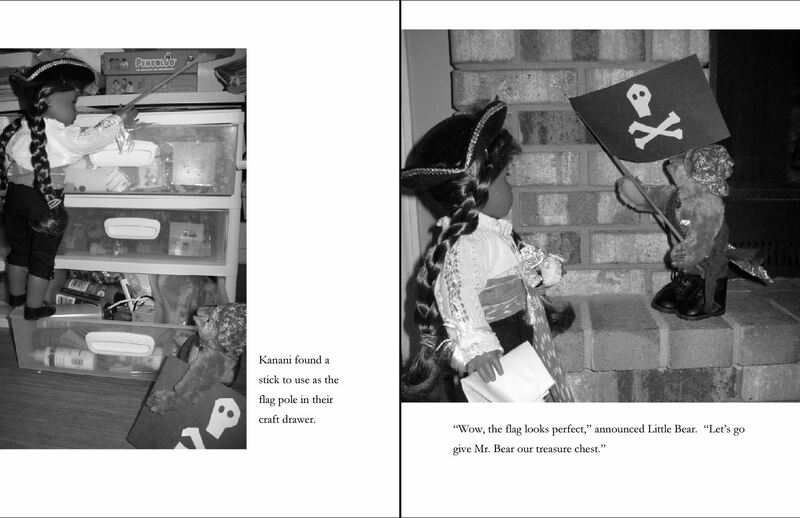 They pretend the backyard play set is their pirate ship and “sail” away to a nearby playground that looks like a castle. 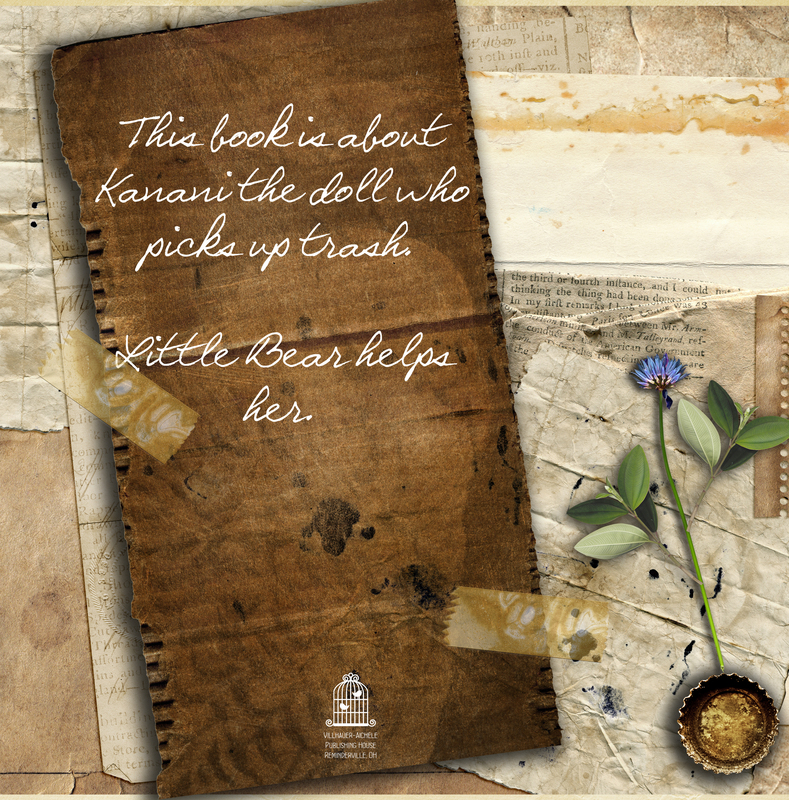 She also designed her own cover, after a very brief and basic lesson in using Photoshop. 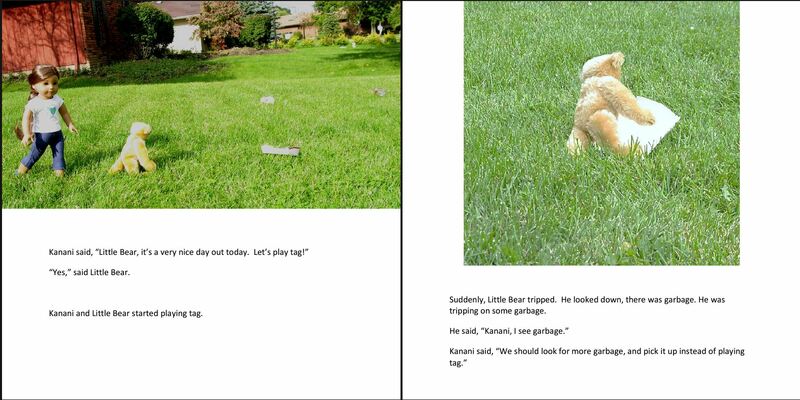 I showed her some of my digital scrapbooking materials that I though would work well for a trash related story. And then she went to town arranging the pieces on her cover.